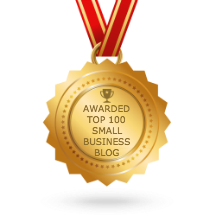 The Australian Small Business Blog: Is Yours an Emerging Business? There is a bubble growing in Australian Small Business. Are you part of it? The ABS defines Small Business as those with less than 20 employees. These businesses provide over 40% of the jobs in the country. It also reports that the average annual growth in active, employing businesses over the last 3 years as 9%. Which is an incredible statistic. But this hides an even more astonishing statistic. That fuelling this growth are, what is somewhat dismissively referred to as, micro businesses. That is businesses with less than 5 employees. This sector has had an average growth of 11% over the same period and makes up an amazing 61% of all businesses. So within the group defined as micro-business, there is another group that I refer to as Emerging Businesses. These businesses differentiate themselves from all the other micro businesses as the movers. The action takers. The Emerging Businesses are leaving their fellow micro businesses behind. I call those, the Micro-stayers. The Micro-stayers can be defined as those who remain as micro-businesses, don’t fail, but don’t emerge from the micro-group. This may be as a result of a number of factors. It maybe lifestyle choice. Work-Life balance is becoming more and more important to many people. It maybe because they don’t have the knowledge to take their business to the next level, and become frustrated Micro-stayers. Or they may have progressed from frustrated to resigned Micro-stayers and have adjusted lifestyle and ambition in recognition of this. The Emerging Businesses, on the other hand, retain their ambition, and where they have found they are lacking in skill or knowledge, have sought out advice. No-one knows it all, and everyone at some point requires help. This may be in the form of education through a course or reading, or it may be with a mentor or a professional advisor or coach. The choice here is a matter of personal style, and how quickly the owners want to achieve their ambitions. But as you see from the statistics, very few people know this and do it! To become an Emerging Business just requires a determination to do so. The alternative is to become a Micro-stayer within the micro-bubble. Where will you be when the bubble bursts? I want to start my own business but don't know where to start, i have been looking,researching for a while now but still confused with what business to start. Hi Sean, it is difficult just starting out. Consider firstly what you are good at, and what you enjoy doing. Then think about whether there is any way you can turn that into something someone will pay you to do. Is there anyone else getting paid to do what you like doing. Study what they are doing and consider how you might be able to adapt their business model to one you could use. Also, reading "The Five Pillars of Guaranteed Business Success" (www.FivePillarsBusinessSuccess.com) may also give you some ideas for the next step.